My apologies for disappearing for a couple of weeks. I was a little under the weather for a bit, and then I started breaking out like crazy (for no apparent reason) and took a little break from makeup for a while. The good news is I'm feeling better and my skin has cleared, so it's back to playing with makeup again (and thank God, because I certainly missed it!). I am a huge fan of LORAC's eyeshadow formula, so I'm pretty sure that I've bought every single PRO and Mega PRO palette that they've put out. So it's no surprise that when they announced the PRO Eye Shadow Palette 4, I knew I would be picking it up. When I saw that the palette contained mostly rosy neutral tones, it became a real no-brainer, though. Like all of the PRO Palettes, the PRO 4 comes in a slim rectangular palette made of sturdy cardboard in a rich wine plum color. There's a mirror inside, but it's not particularly large and the palette doesn't stay open by itself, making it really only suitable for touch-ups. The palette does come with a small sample size tube of the LORAC Behind the Scenes Eye Primer, which I'm a big fan of. The palette contains 16 shadows, with the top row featuring 8 matte shades and the bottom row featuring 8 shimmer shades. The shadows include: Chantilly, a matte cream; Brulee, a matte beige; Pecan, a matte rosy tan; Rose Bud, a matte rosy mauve; Warm Ginger, a matte light brown; Cognac, a matte mid-tone brown; Amaretto, a matte mid-tone reddish brown; Black Currant, a matte plum; Soft Pearl, a shimmery pale lilac; Iced Rose, a shimmery rosy taupe; Silver Mauve, a shimmery mauve with silver and taupe undertones; Begonia, a shimmery rose; Candlelight, a shimmery golden bronze; Merlot, a shimmery plum burgundy; Java, a shimmery blackish brown; and Midnight, a black with silver micro-sparkle. The shadow formula for the shades in the PRO 4 are up to LORAC's usual standards -- they're incredibly soft and creamy, even the mattes, so they apply and blend easily on the skin. They're nicely pigmented too -- but because they're so soft, they do kick up quite a bit of product, so it's important to tap your brush off well before applying them if you want to avoid fallout. As I mentioned, I love LORAC shadows, so I was beyond satisfied with how the palette performed. I also am really taken with the color scheme, which includes a lot of rose and mauve shades with plenty of neutrals thrown in for good measure. I think the shades will be lovely for the upcoming fall season, but really, it's a palette that could work really well year-round. My one issue with the palette is that there isn't much variation among the shades in terms of depth of color. They all sort of fall around the mid-tone point of the color range, so there's not much contrast between them on the eyes. As a result, I find that most of the looks I've done with the palette are fairly similar. Maybe the results would be a little bit different on skin tones that are deeper than my ultra, ultra fair skin, though. Still, I don't feel like this is a must-have palette. 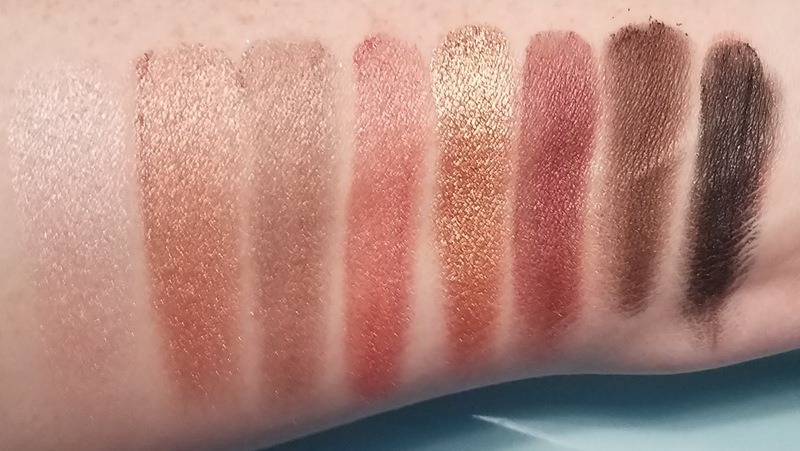 If you love LORAC shadows, then it's may be worth trying out, but otherwise, you may already have similar shades in your collection. The palette retails for $44 and is available on the LORAC website, Ulta, and at Kohl's. Have you tried the LORAC PRO Eye Shadow Palette 4? Are you a fan?